Tsubaki's line-up of top chains offers an extensive range of features and constructions. We can meet the needs of worldwide customers through our long years of experience, consistent high quality, and continuing quest for new technology. Our solutions include Ultra Low Friction, Chemical Resistant, Impact Resistant, High Temperature Applications, Anti-bacterial Applications and others. 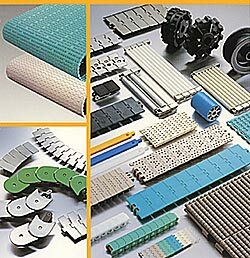 We bring customers an ideal chain solution by putting our wide range of material technology to work.